When I am out on the road for long trips, or even just trips in town, I seem to always run across something crazy! Drunk drivers, crashes, fires, almost getting hit by cars, etc. 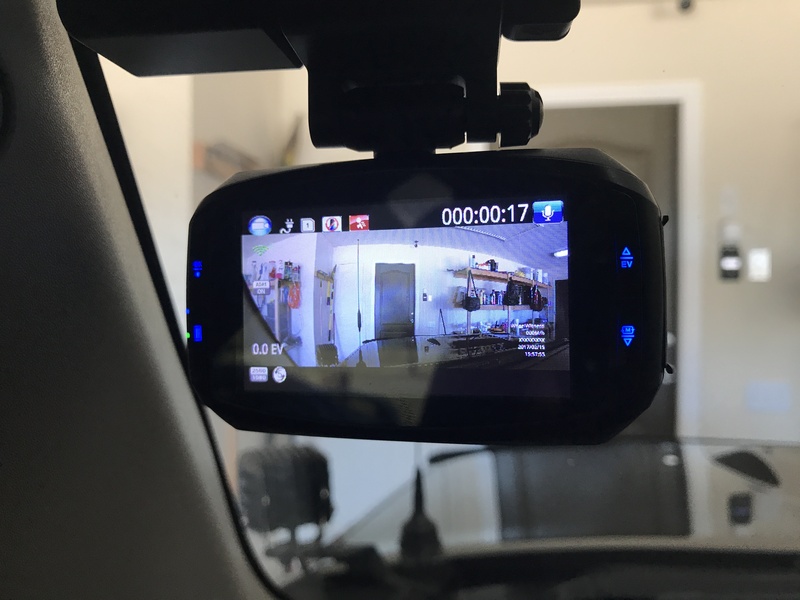 So having a dash cam is a must for me. I’ve attached a few pictures from my setup. Overall, I think it’s a super cheap camera that is great value for the money. Nowdays, you never know what you will see. I’ve sold lightning strike video from my dash cam, just from driving along and seeing a strike, not even storm chasing! A great investment. Update: Recently I captured a police officer almost getting hit by a car. Video of that is here! It’s reasons like this that having a camera rolling at all times is so great. You never know what you might see! ← Google Home Review: How Does Alexa Stack Up? So, when you download the video from the device, does it absorb in one huge file or can you decide which part to retrieve? File type? The quality looks great. I like the fact that is has is GPS enabled, which is great! The price point is a little high, until you need the video and then it doesn’t seem unreasonable. Garmin is always known to put out really good products. Would love to see a sample video rather than stills, but great information.